Former longtime Hardin-Simmons University president and chancellor Dr. Jesse C. Fletcher died today at age 87. Presidents of Abilene’s three church-related universities – ACU, HSU and McMurry – have shared unique and often close kinship through the years. Fletcher certainly endeared himself to Abilene Christian University executive leaders. This photo of ACU’s ninth president, Dr. William J. Teague (’52), and Fletcher was made in the early 1990s, not long after the two became chancellors of their respective institutions after being presidents of them for a decade. Teague (left) and Fletcher marked their job changes by engaging in a friendly beard-growing competition and asked to be photographed together to commemorate it. Teague is ACU’s chancellor emeritus; Fletcher has been HSU’s president emeritus since 2001. 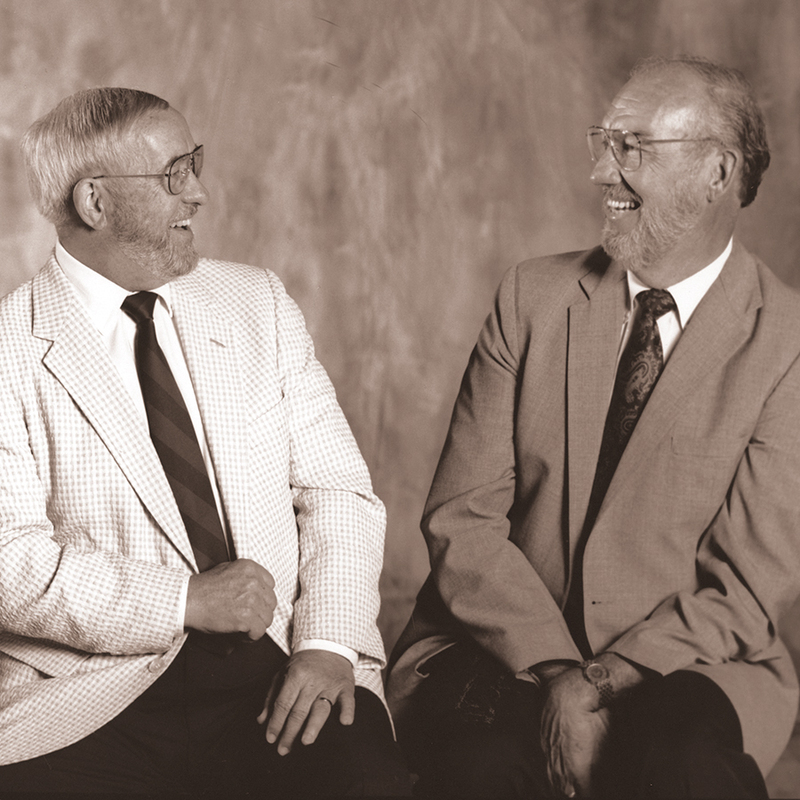 When Teague suffered a stroke 14 years ago, the first person to meet the family at Hendrick Medical Center was Fletcher, whom the Teague family knew for his humble service as much as his institutional leadership. The two chancellors of competing universities played bridge together and were close friends. “I remember him praying over me in the hospital, and it meant a lot to me,” Teague said. Like ACU’s current chancellor Dr. Royce Money (’64), president Dr. Phil Schubert (’91), also counted Fletcher as an admired colleague. Read more about Fletcher’s life on the HSU website.